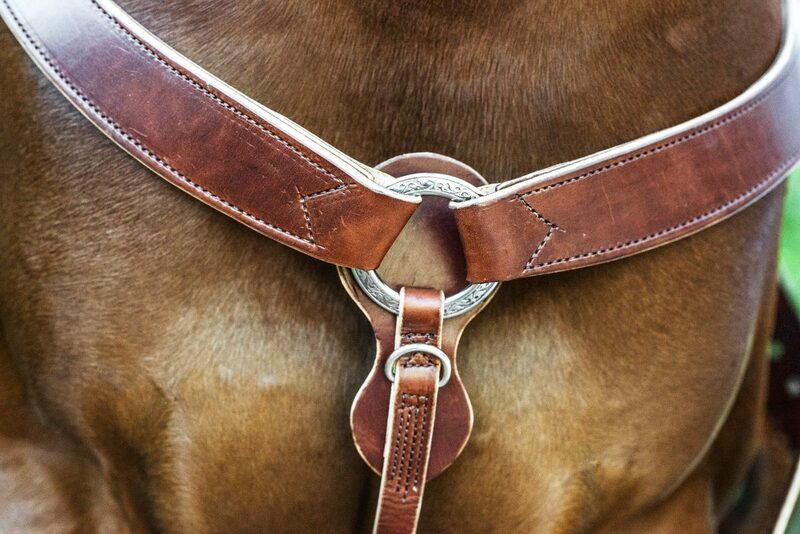 Deluxe Harness Leather Breast Collars are made in our workroom out of the same high quality USA 10-13 oz. 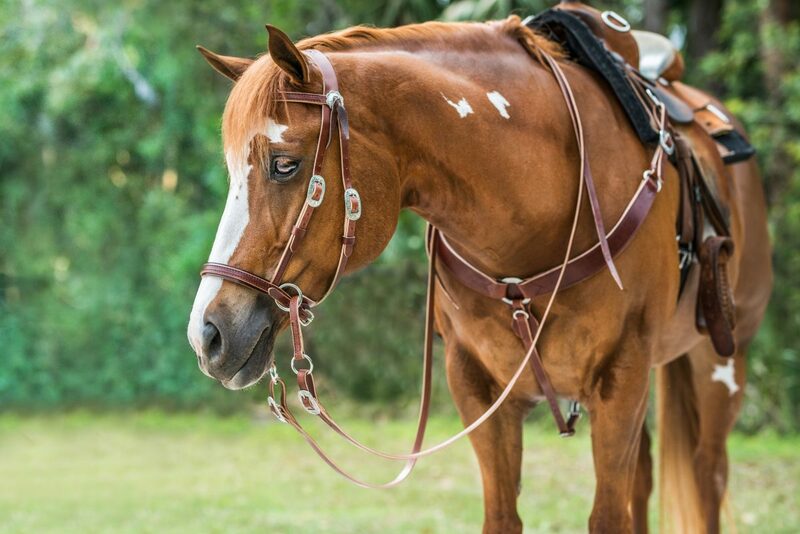 harness leather as the Deluxe Harness Leather Headstall for a perfect match. 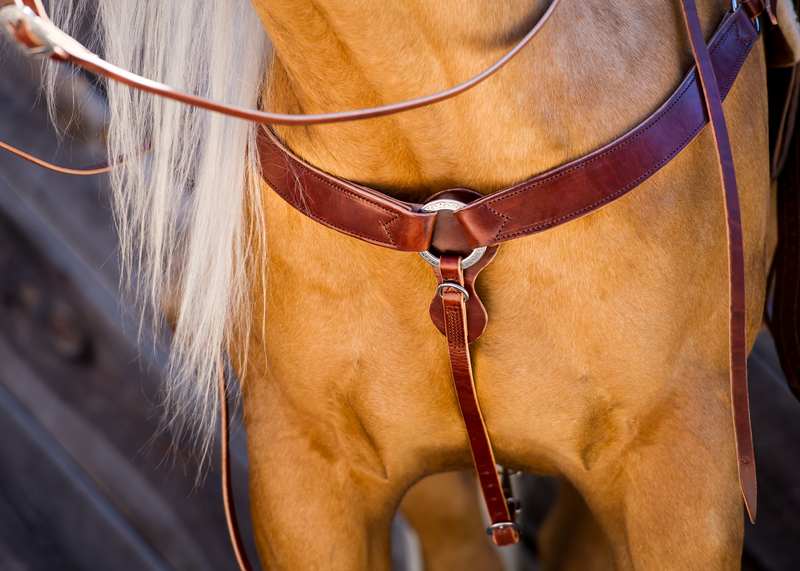 Premium #1 grade Wickett & Craig tanned, rich medium brown harness leather, first choice of top professional horsemen. Finished with rich, chocolate brown stitching. 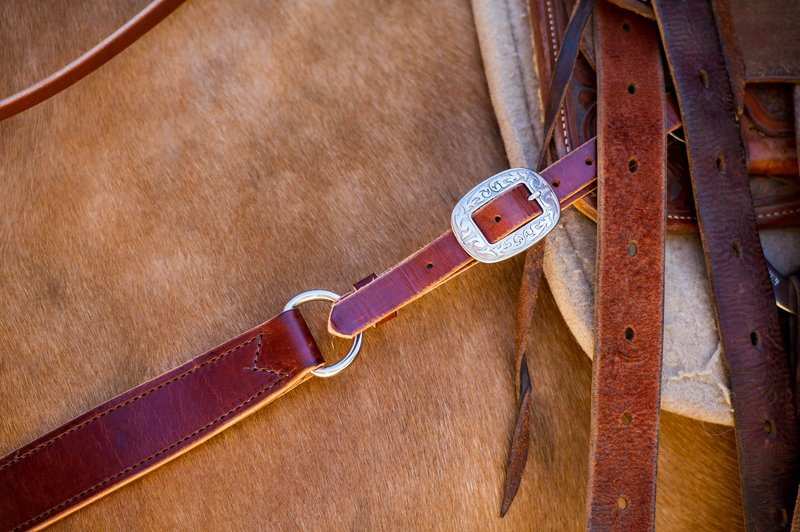 Hand rubbed finish for the feel you can only get from top quality harness leather. 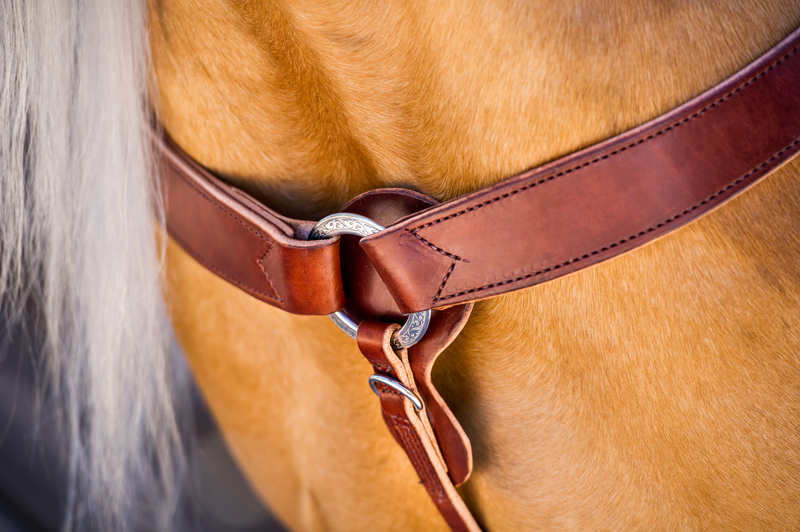 The leather develops a deep, rich patina with use, and is easily cleaned with just a little saddle soap. All hardware stainless steel, featuring a floral pattern polished stainless steel center ring. Contoured breast collar for a better, more comfortable fit. Made to last, even under extreme riding conditions.